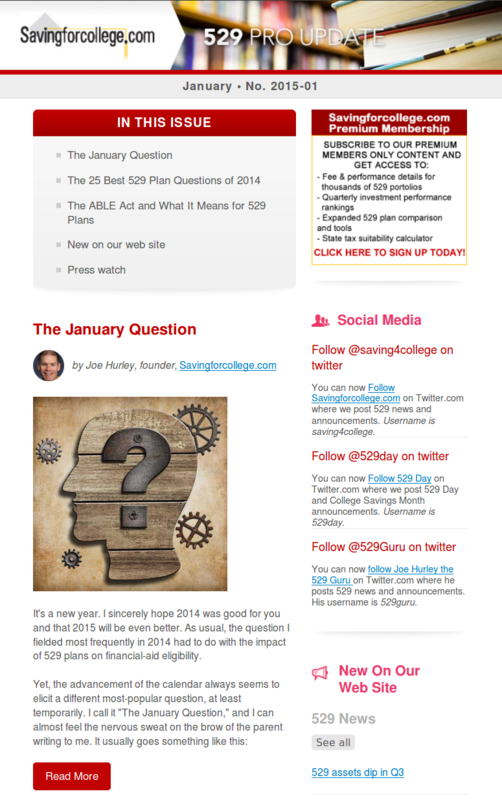 Recommending 529 college savings plans to your clients? View the latest rankings of each 529 plan -- from top to bottom -- for one-year investment performance, three-year investment performance, five-year investment performance and ten-year investment performance. 529 plans were added to the Internal Revenue Code in 1996 to authorize federal tax-free status of qualified tuition plans. Federal tax benefits of 529 plans include tax-deferred investment growth, tax-free distributions for qualified education expenses including up to $10,000 in K-12 tuition and tax-free 529 plan rollovers. However, some states do not fully conform with the federal laws regarding qualified tuition programs. 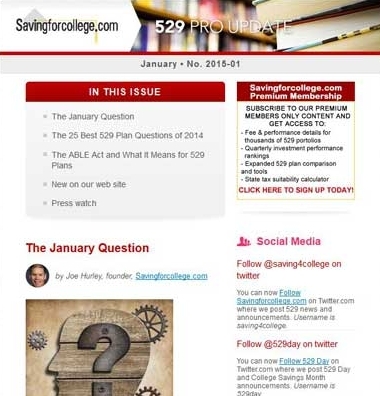 The highly-anticipated Savingforcollege.com 529 plan rankings are here! This slideshow provides information on the top 10 direct-sold 529 plans, including performance score, program manager and how to enroll. Based on 3-year performance as of 9/30/18. Morningstar Inc. has released a research paper about family use of 529 plans, New Lessons about 529s. The paper shows that getting middle-income families to shift college savings to 529 plans will yield increased investment returns. The paper also provides practical ideas for getting more families to invest in 529 plans. When asked why they aren't saving more for college in a 529 plan, clients will typically give one of these 10 excuses. Here are some ways financial advisors can address their concerns and stress the importance of planning for future education costs. Help clients take advantage of new potential tax savings by developing an effective 529 funding strategy for K-12 private school tuition costs. With a relatively shorter time horizon and $10,000 annual withdrawal limits, a new calculator is recommended when paying for private elementary and high school expenses. Case study: Could a 529 state tax deduction offset the costs of a non-qualified withdrawal? 529 plan expert Vince Sullivan explains how a 529 plan can present a tax-deferred opportunity for clients, even if they aren't planning on using it for qualified education expenses. Find out if a state tax deduction could offset the costs of taxes and penalties owed after a non-qualified withdrawal. A family’s Expected Family Contribution is based on information a family reports on the FASFA, and determines financial aid eligibility. Here’s why it’s important for financial advisors to understand EFC. The final version of the Tax Cuts and Jobs Act includes a provision to allow families to save for K-12 expenses with 529 plans. Here’s who would see the biggest impact. Access these features with a Premium Subscription. Access rankings by asset allocation or on a composite basis to view best-to-worst quarterly performance results for both direct-sold and advisor-sold 529 plans. View specific information and examples relating to gift tax reporting requirements as they relate to 529 plan contributions. View tax forms and information concerning the reporting of 529 plan distributions on the federal income tax return. Ask your question on our message board. You can also view all federal, industry, state,	or plan news.